The day you walk into work in your Unity Village, MO, office and spot water on the floor or in the walls or ceiling is not a good day at all. 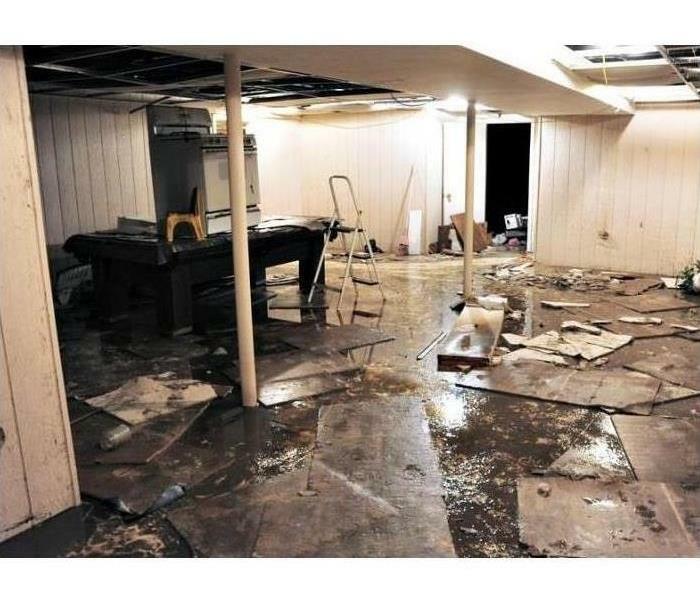 Even the most minor water damage can disrupt your business and eat up valuable time and money. There are some things you can do to avoid a pipe burst cleanup. Even if flooding does occur, a reputable water removal company is just a call away to get your office back to normal in no time. Have a qualified plumber regularly check all the pipes and supply lines in your building. Make sure downspouts and rain gutter divert water away from the foundation of your building. Even after your best efforts, supply line leaking and other issues can lead to flooding. Luckily, a water damage cleanup company can help remove water from the premises. A professional team of technicians has both the experience and skill to correct the problem and help ensure that it doesn’t happen again. The team will begin by evaluating the cause of the flood and what led to the pipe burst cleanup or other issues. Next, the techs will formulate a plan for cleanup and restoration. The team will also make recommendations on how to fortify your pipes and supply lines. The crew will use commercial-grade extraction machines and dryers to remove all water and dry out the affected area. Just as importantly, the team will sanitize and disinfect the area, which is critical, especially if black water made its way into your building. Pipe burst cleanup jobs come with extensive damage and messes. Fortunately, you can help guard against these and hire the right professionals. High levels of moisture can cause mold to start growing inside HVAC ducts. Almost any type of mold, including black mold, can be supported by dust and debris inside of a heating and cooling system. 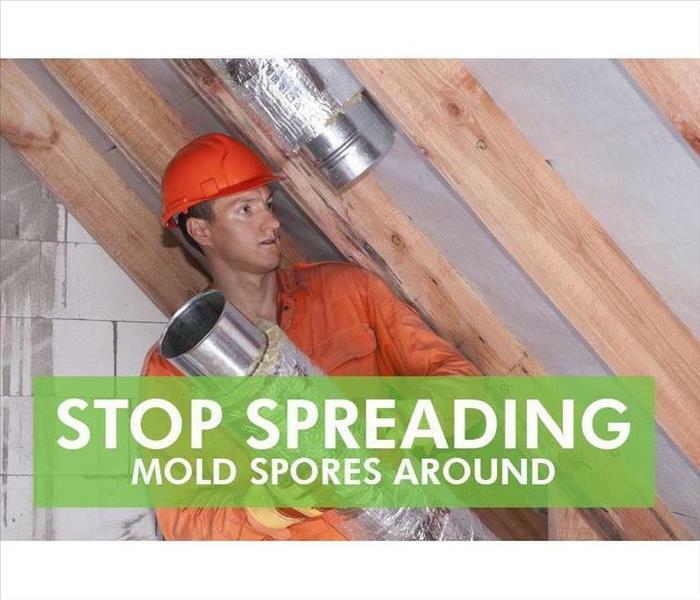 Spores can spread throughout a structure through air ducts. If a musty odor is present or mold growth is evident, building owners or managers should take these three steps. A building owner or manager should contact an HVAC specialist to identify the source of moisture and resolve the problem before scheduling a duct cleaning. Excessive moisture or mold growth may be evident in condensate drip pans, coils or terminal units. It is also possible that a plumbing or roof leak is introducing water directly into ductwork. A duct cleaning company can eliminate many types of mold. These services typically use high-powered vacuums to clean ducts. If black mold or signs of severe contamination are present, a property owner or manager may also want to consult with an indoor environmental professional. More extensive remediation work may be necessary if mold has spread beyond ducts. A duct cleaning company may also apply a mold inhibitor rated for HVAC use. This treatment can help to prevent mold from returning even if moisture levels increase. Property owners should keep moisture low by taking measures to prevent and quickly fix leaks, maintaining the HVAC system and ensuring that indoor relative humidity levels remain between 30 percent and 50 percent. These measures can help eliminate the presence of mold growth from ductwork and prevent fungus from returning. If black mold is found or there is a significant chance that mold has spread to other parts of a structure, a property owner or manager should also contact a mold cleanup and remediation company in Kansas City, MO. Aspergillus Niger is green and pink mold. Mold in any form is frustrating to deal with and finding some in your home in Raytown, MO, can be devastating to discover. If you do find mold growth in your home, knowing what kind of mold you’re dealing with is an important first step in identifying possible causes for the issue and knowing what line of action to take. Here are four common types of pesky house molds you should be aware of. This type of mold is one of the most common types you’ll find in your home, and there are over 185 species of this mold that exist. You’ll likely find this type of mold in either yellow, green, or black. It often grows in home air conditioning systems and on food. If your home has recently undergone any water damage, you might find a black, gray, brown, or olive-green mold growing on your walls, insulation, or carpet. There are more than 30 species of Cladosporium, including an outdoor variety that can be found on plant leaves. 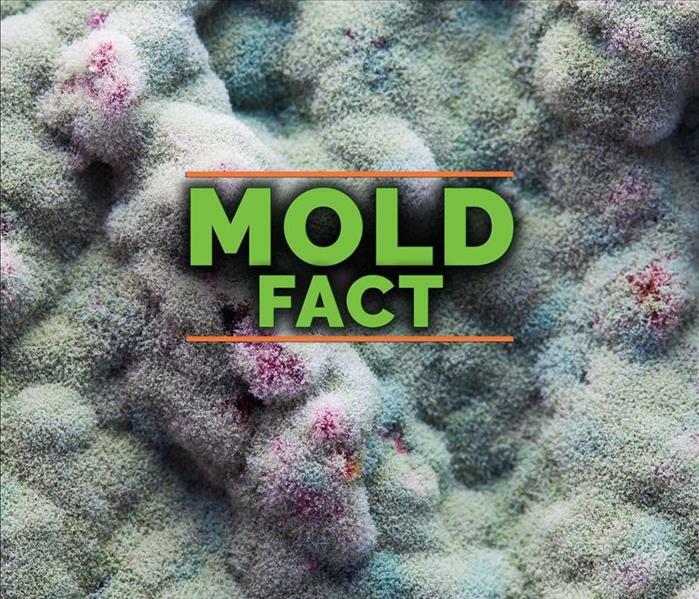 This species of mold can also be found on toilets and fiberglass air ducts. The most common strains of Acremonium found within the home include Acremonium strictum and A. charticola. 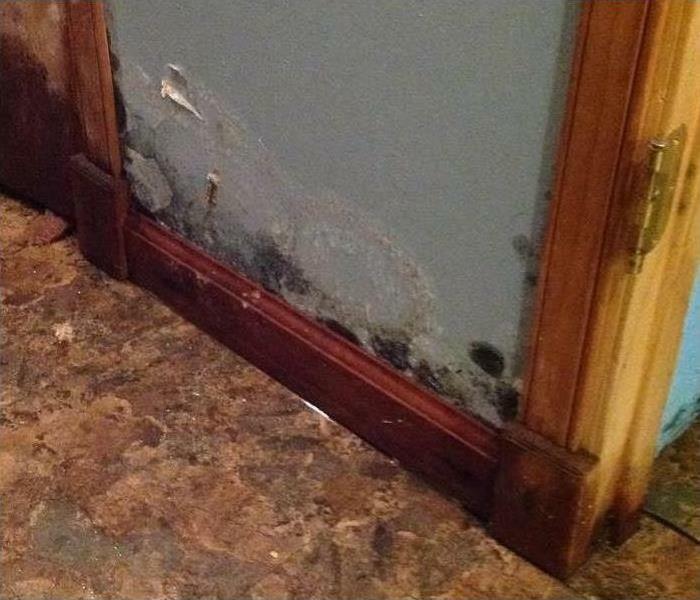 This mold is often caused by high humidity and will look powdery when found. It is commonly found on mattresses, wet walls, wallpaper, and air conditioning systems. Stachybotrys chartarum is the most common strain of this type of mold and is often referred to as “black mold.” As the name suggests, it often has a black appearance. Black mold growth occurs in extremely wet and humid areas and is often found on ceilings and walls. While some molds might be more notorious than others, every type of mold growth you find in your home needs to be dealt with promptly. A mold removal specialist will be able to easily identify the mold found in your home and will know exactly how to remove it. Like most homeowners in Kansas City, MO, you may rarely worry about a broken pipe and unexpected water in your home. Seepage from damaged lines can, however, cause extensive destruction. 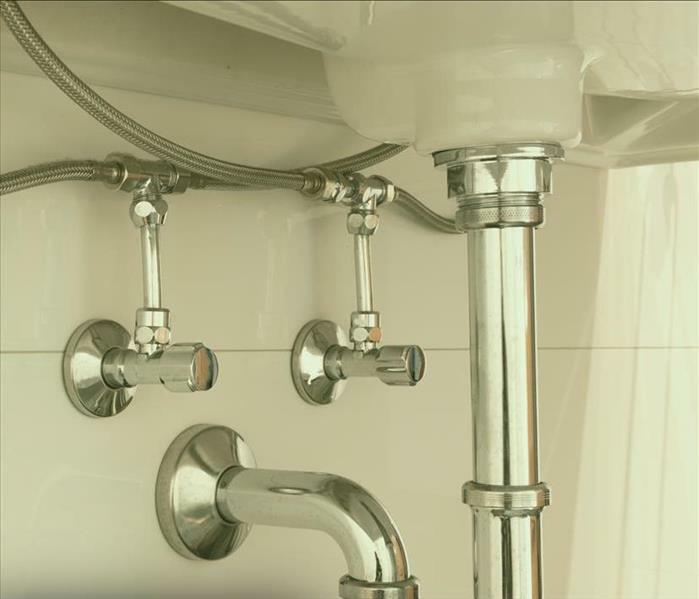 Taking proactive steps can help you protect your home’s plumbing infrastructure and avoid a messy cleanup. Leaders in the cleanup and restoration community work to maintain performance guidelines and standards. Those guidelines assure Unity Village, MO, consumers and other industry professionals that the best restoration practices are followed during cleanup and remediation procedures. To maintain a reputation for having the top-quality services, vendors must maintain compliance with professional qualifications. This compliance can then reassure the insurance agent that the cleanup technicians will keep costs down without sacrificing quality. SERVPRO participates in a qualified vendor program and, as a result, can offer several valuable resources. As part of SERVPRO's participation in this program, all professionals agree to abide by 21 different guidelines. Those requirements run the gamut from insurance coverage to background checks on employees. Ongoing checks and inspections ensure that clients receive the best service from cleanup and restoration technicians. When a consumer or insurance agent contacts SERVPRO, each step of the process can be tracked and reported. This begins with the first phone call reporting the loss and continues until the documents are completed by the Claims Information Center. To further improve the services provided by cleanup and restoration professionals, the company has obtained IICRC validation for proper drying techniques and equipment use. A Claims Information Center speeds up claim response times and provides comprehensive reporting information. With access to plenty of franchise resources, professionals and technicians have the right qualifications to provide top-quality work while keeping claims costs down. The requirements that cover emergency response calls, pretesting efforts, claims inventory procedures, and electronic claims make it easier for a Unity Village, MO, insurance agent to bring open processes to a close. The professionals at SERVPRO can thoroughly clean smoke and odor residues left behind after a fire. A fire in your Raytown/East Kansas City residence can leave you unsure of how to save the contents of your home and preserve its structural integrity. Most homeowners can concede that restoring the damage to their home is simply too great a task to handle on their own and choose to seek out reputable and experienced restoration professionals instead. Finding the right professionals to handle the fire damage in your Raytown/East Kansas City residence boils down to which reputable company is willing to ensure that the job gets done safely, correctly, and above all else, efficiently. While there might be several options you can choose from, here are some considerations that might set our SERVPRO team apart. 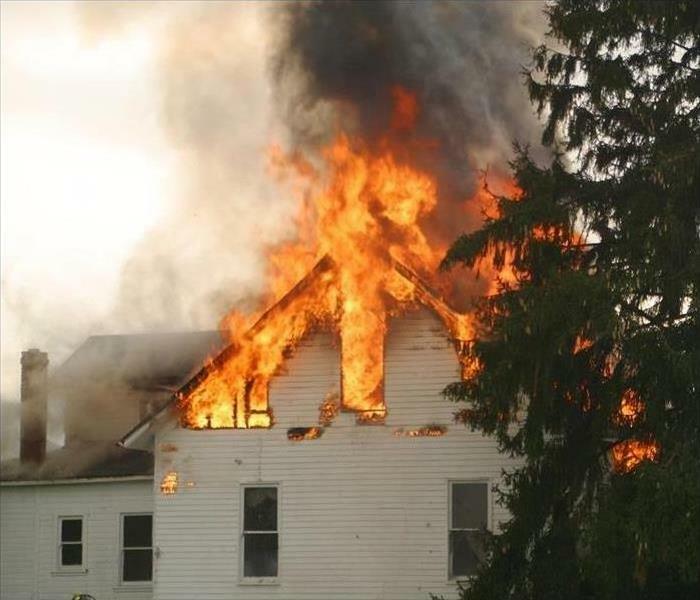 Rapid response times help to mitigate damages that your home experiences even after a fire have gotten extinguished. This pre-emptive effort helps to keep overall restoration costs down and limits the amount of time the process takes overall. 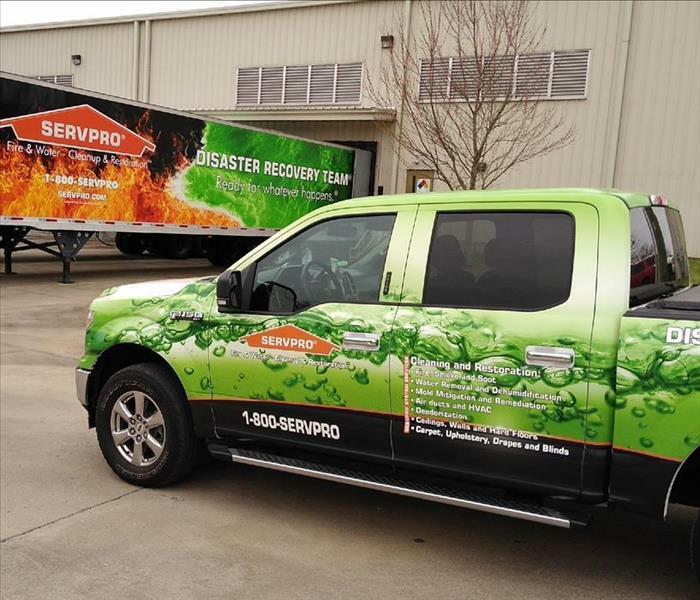 One of our SERVPRO mottos is to be Faster To Any Size Disaster, which is more than just a catchphrase. Another process that sets our restoration team apart from some of the other options that exist for you to choose is our commitment to the contents of your house. 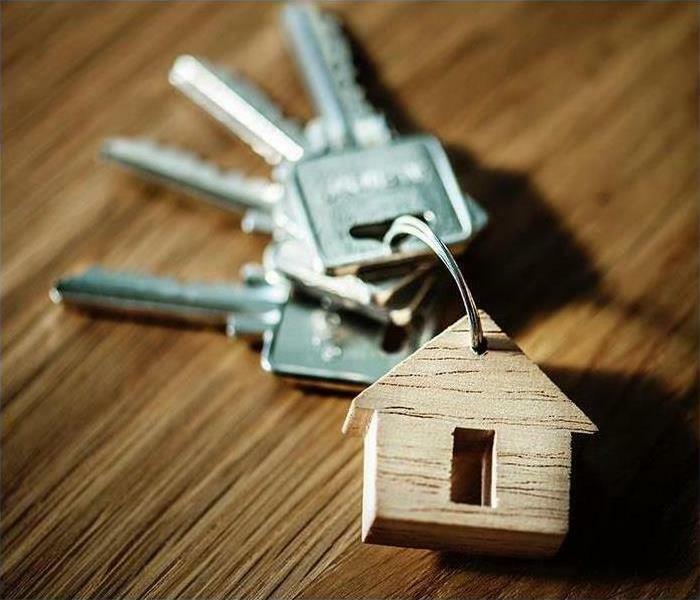 We work quickly to determine at-risk items and remove them from the affected areas of your home for faster and more concentrated restoration efforts, but also to keep further damages from occurring to the items themselves. These items get cleaned and deodorized individually, along with closer inspection to determine their need for restoration. Once the project nears completion in your home, these cleaned and restored individual items removed from your house get returned to their original positions. There are many companies that you can choose from when it comes to fire restoration in your home. Our crew works to provide the best quality service encompassing the work that we do in your home and our commitment to providing the best in customer consideration. If you experience a fire in your home, trust our SERVPRO of Raytown/East Kansas City team to help you get things back to pre-damage condition. Give SERVPRO a call anytime at (816) 737-8776. If the water is found to be category two, or grey water, through pretesting, then it is best that you do not go near it. This result indicates that there are organic and inorganic substances in the water and that you may become ill if it is consumed or touched. 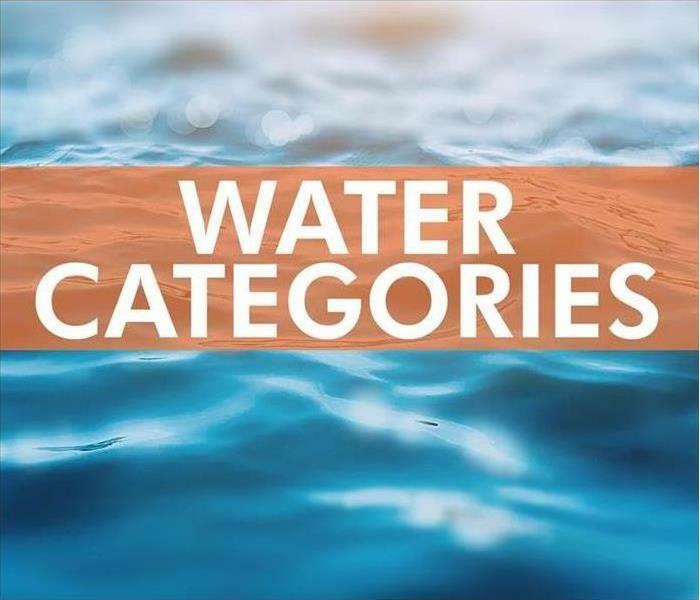 Category three, or black water, is the most dangerous water. The level of contamination includes sewage, chemicals, bacteria and possible toxins. It is likely that your insurance agent and company will recommend a disaster restoration specialist in the Raytown, MO area who will probably seal the space as they work to remove the water safely. Storm Season to Come to Raytown/East Kansas City, MO. Are You Ready? Water Damage and how SERVPRO of Raytown/East Kansas City can help. ed into walls, floors, upholstery, and belongings. 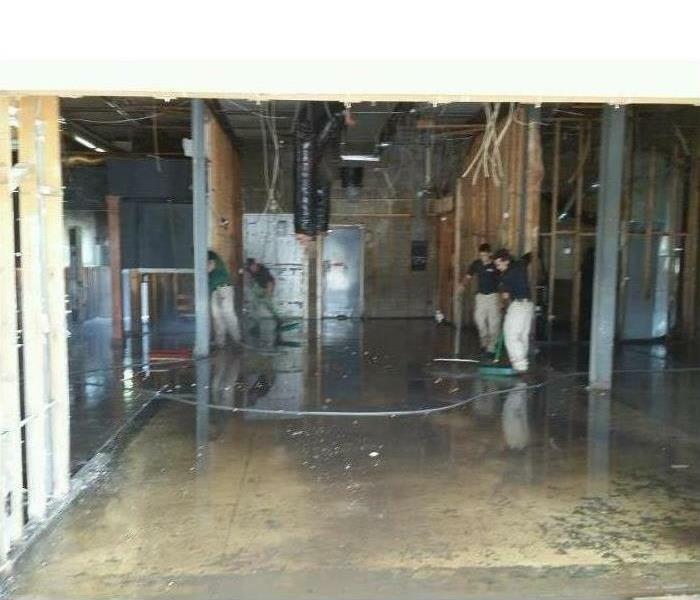 For help restoring your residential or commercial property after a water loss, call SERVPRO of Raytown/East Kansas City at 816-737-8776. Although there are a variety of challenges that residential and commercial property owners can experience, the presence of mold is particularly problematic. This is the case for many reasons, including the fact that mold can cause health problems and decrease the structural integrity of one’s property. There are ways to prevent the growth of mold, but your best course of action is hiring a professional mold remediation company. Invest In A Dehumidification System. One of the best ways to prevent the growth and proliferation of mold is to invest in an air conditioner that features a dehumidification system. These systems are effective in removing moisture from your property. Once the moisture is removed, the mold is deprived of one of the vital nutrients that help it grow. Be Cautious When Turning The AC Off. Make sure that you are cautious when you turn off your air conditioner. In climates that are humid, a long-standing period of inactivity can enable humidity levels to become dangerously high. If the humidity level becomes extremely high, it creates the moist environment necessary for mold to grow and thrive. Another strategy you can use to prevent mold is the use of insulation. By installing insulation as well as vapor barriers, you can prevent condensation from accumulating on objects like plumbing fixtures, beams, and water pipes. Stagnant water can become a breeding area for mold. Since this is the case, make sure that you keep your tubs, showers, sinks and all other wet regions of your property free of standing water. Another strategy for mold prevention is application review. Make sure that all of your construction, design, and architectural applications are effective in preventing water from coming in contact with the interior of your property and goods. Specific regions of concern include poorly designed balconies, pitched roofs, improperly installed flashing, doors, windows, thin stucco, and vapor barriers. One final way to help prevent mold growth is to ensure that the integrity of your building envelope is maintained. You can achieve this objective by investing in regular roof flashing, caulking, sealing, and inspections of the exterior. Mold can be a severe problem for residential and commercial property owners to handle. However, using the prevention tips and tricks outlined above can help you keep your property mold-free. In the event that mold growth does transpire, call a professional restoration company. They have extensive experience in the mold remediation field and can assist with your mold restoration needs. 3/4/2019 - Storm Season to Come to Raytown/East Kansas City, MO. Are You Ready?